Umar started with us in April of this year and works with the Accounting and Administrative teams, making sure everyone gets paid on time and keeping the office presentable. These two things make him one of our favorite people! Umar has been a huge help as we switch Internet providers in the LA office—certainly a daunting task when the whole office depends on functional Internet access to get their work done. He’s great with helping everyone in our office troubleshoot issues that arise and is always there to help when we need it. He’s enjoyed the freedom that comes with his position, and has had a great time getting to know everyone on our team. Umar loves to play his electric guitar and occasionally brings it to work, entertaining us with his strummings on lunch breaks. Hamza has been on the team since December of last year as a back-end developer. He works extremely hard to make sure all our internal processes are running smoothly—without him, Coalition Technologies a lot less efficient! He’s spent a great deal of time producing the recently introduced Copy Management tool in our internal content management system, Scoretask. This is the biggest module in the system, as it not only keeps track of all the copy we produce, it hits just about every aspect of our company. Hamza really enjoys getting to work closely with our CEO, Joel, to continuously improve these systems. When he’s not integrating a variety of APIs into Scoretask, he likes to play strategy computer games to keep his mind sharp. 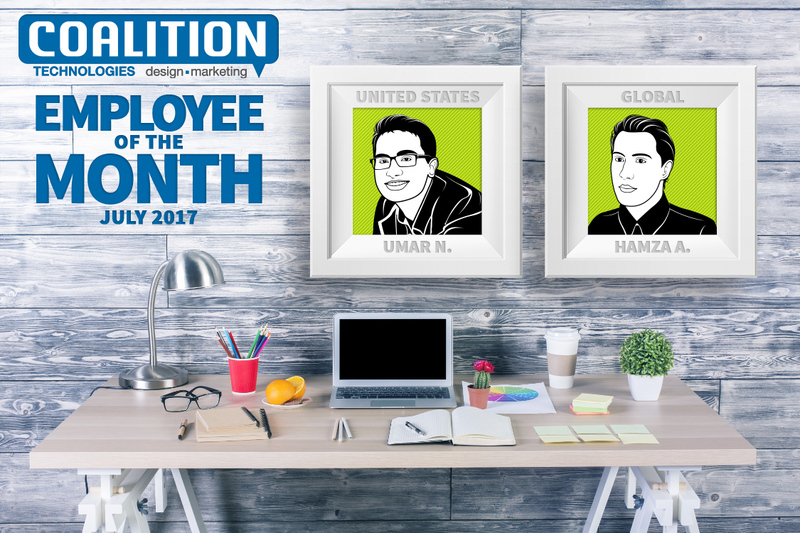 We are so lucky to have indefatigable employees like Hamza and Umar on our team—and everyone else who works so hard to make Coalition what it is! Month after month, we are continuously impressed by the time and effort every team member puts in to accomplish our goals. 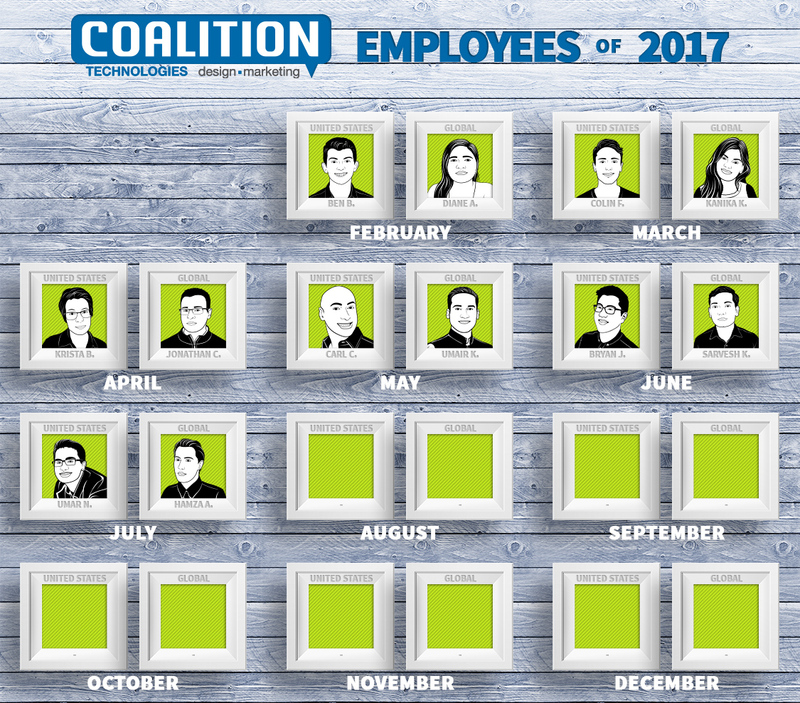 Be sure to keep your eye out for August’s employees of the month!